The Translational Proteomics Center provides training, resources, and tools for new and established investigators seeking to apply innovative approaches of proteomics to their research, as well as to expose undergraduate and graduate students to this advanced technology. The Center fosters collaborations and partnerships among researchers aiming to reduce health disparities, including infectious diseases, cancer, and neurological/neurodegenerative diseases. 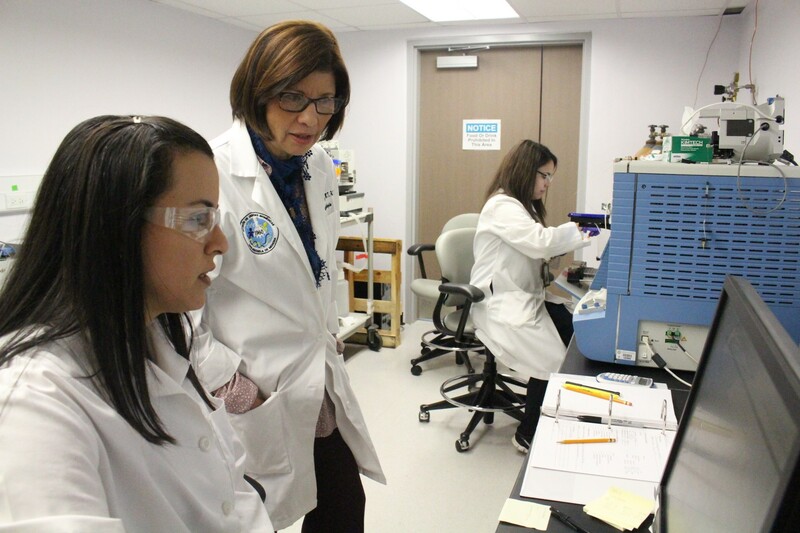 The Center is also committed to increase its capacity to meet the needs of clinical and basic researchers in PR in order to uncover novel mechanisms of disease that disproportionately affect Hispanic populations. Research Assistant: Carla Salgado, M.S. Laboratory Technician: Yadira M. Cantres, B.S.